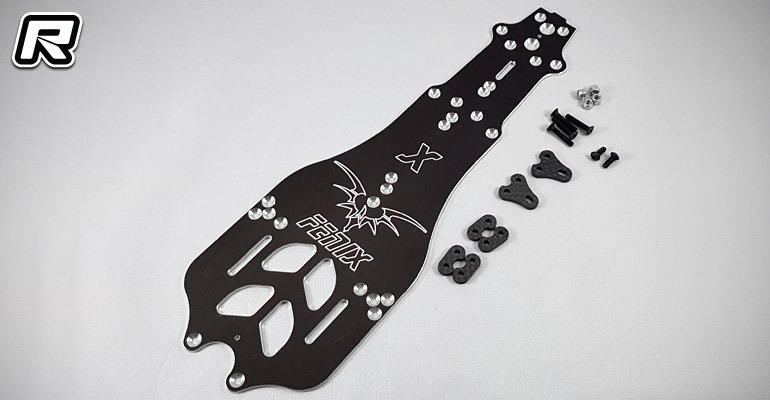 Available now from Fenix Racing are their new X Series aluminium main chassis plates for a range of popular 1/10th formula cars. 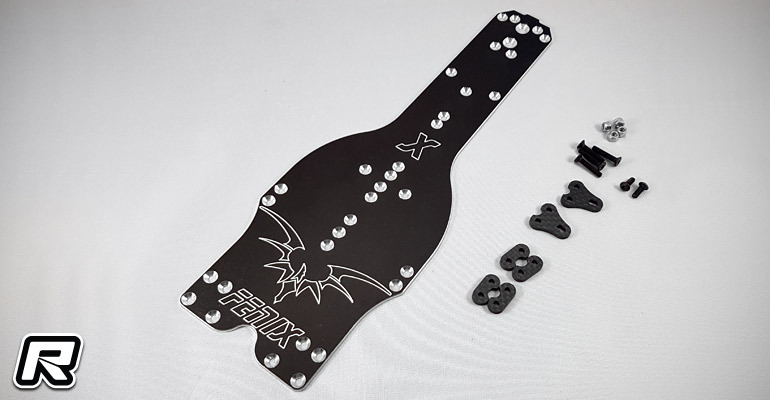 Offering a 10mm longer wheelbase the 2mm chassis are made of 7075-T6 alloy and they feature a very marry design for minimal scrubbing during cornering. 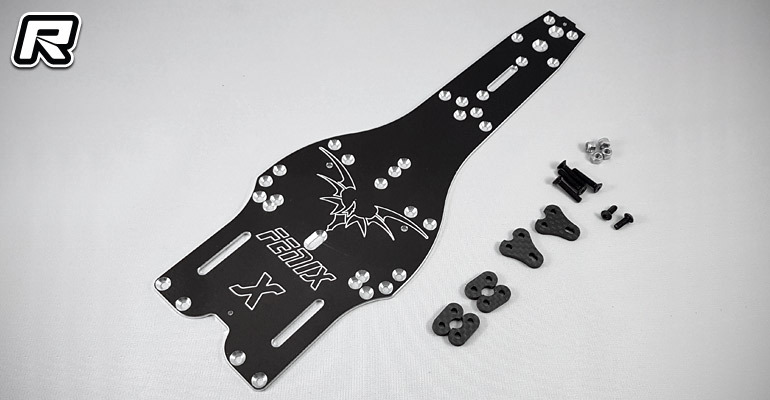 The chassis are available for the Fenix Mistral, Shepherd Velox and Xray X1 kits and they include a hardware kit making them a direct fit.